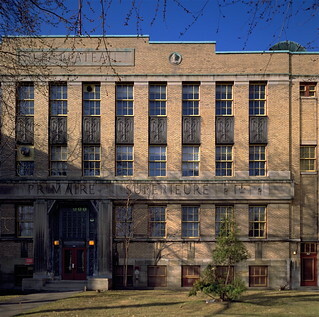 Join us for a visit to the classic Art Deco school, École Primaire Supérieure Le Plateau (now École du Plateau) built in Lafontaine Park from 1930-1935. 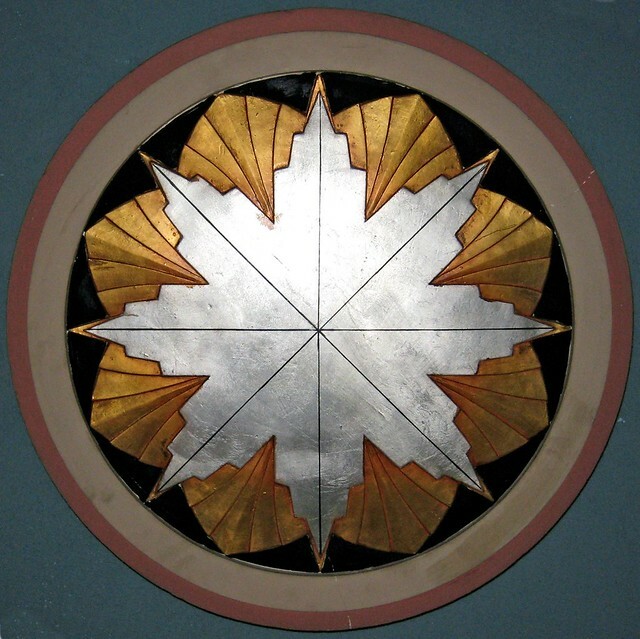 Designed by Perrault and Gadbois, it is noted for its impressive Art Deco auditorium. The first big band made its debut at the school auditorium in 1935. The great conductor Wilfrid Pelletier came regularly to direct his orchestra there before the Place des Arts opened. You will also see the Art Deco monument to Louis Hippolyte-Lafontaine who was instrumental in bringing self-government to Upper and to Lower Canada in 1848. Please note that, exceptionally, this tour will be on a Thursday. Please be on time as it is the principal of the school, Mr. Coisman, who will be staying late to greet us. To go to the school, turn into Lafontaine Park at Calixa-Lavallée Street which is one block east of Amherst Street. Calixa-Lavallée Street does not go south of Sherbrooke Street. We will be having supper at the Bistro Tot ou Tard at 1010 Cherrier. It is not necessary to reserve as we will call the bistro at 6 PM , the day of the tour , to tell how many we will be.